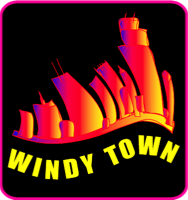 If you need commercial big label quality, you will find it at Windy Town. We strive to provide our clients the highest quality recordings, mixes, masters, music videos, and remote recording services. We even help our clients to get their music onto iTunes, Amazon, Spotify, and all major online music and streaming services. We record direct to digital using the highest quality digital converters. For songwriters and performers we offer a vast index of professional sounds and professional sample libraries to take your music to the highest level. We’ve been recording music thirty years, and it’s our decades of recording experiences from which you will benefit. We know all the little tricks to make your recording stand out. We will make your music stand apart from the crowd, and make a truly special, yet commercially mastered product ready for distribution. When you are ready for the best, give us a call at: 707-602-7277 to talk your project and how we can help take your music to the highest level. 3) Try Less Reverb - When a two track master is Compressed and Limited (made louder) the soft parts become louder - (reverb can be added add the mastering level) - A good rule of thumb - dial in the reverb - when you start to hear the actual effect - back it off and leave it! When Mastered - this gives each instrument it’s own ‘space’ and 3D sound without being washed out in reverb. We are passing these on to you to make your recordings better! Visit our sister sites often.